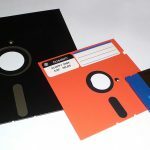 Floppy disk not recognized by PC? Floppy drive has virus and won’t be detected by PC or report damaged by PC? Floppy disk is RAW? Floppy disk is formatted by mistake? Don’t worry, iCare Data Recovery helps you restore files from floppy disk.